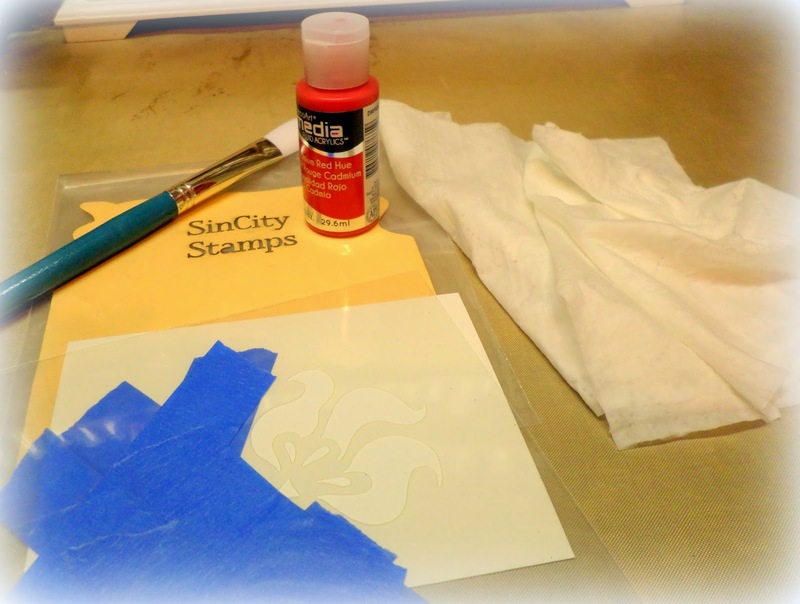 I am sharing a Christmas Card I made for SinCity Stamps today. I used a technique I learned from Terri Sproul's Tuesday night show. She does a live "Art Journal" show every week and she shows us many techniques! Click her link above to find out more. She showed us the technique I used for this card several times but I never tried it until now. It is awesome and I know it will be in my "favorite techniques" file for sure! 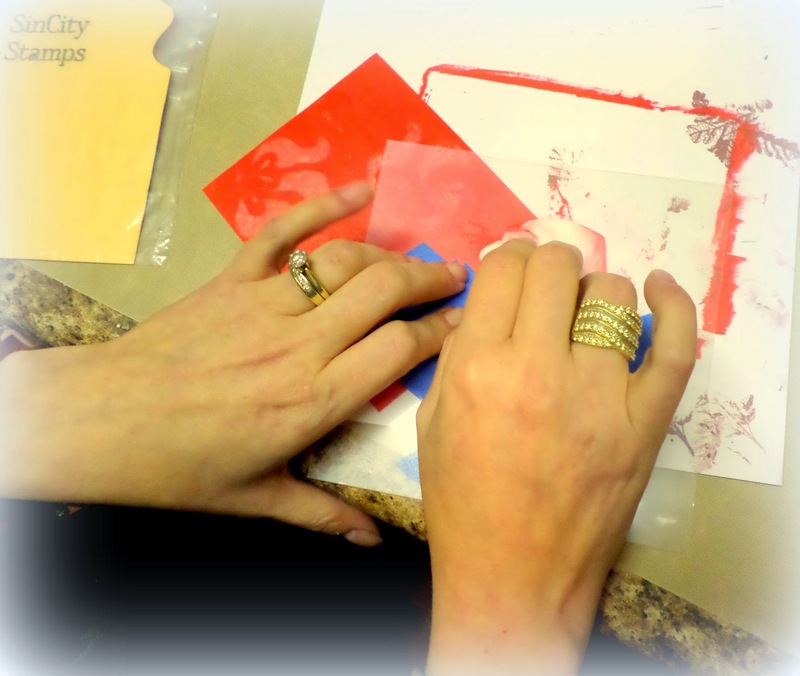 DecoArt Media Paint "Cadmium Red"
This technique is like reverse stenciling. I took out my stencil, paint and baby wipes. I loved the flourish of the fish's tail so I taped off the rest of the fish. I painted my whole piece of paper and let it dry. 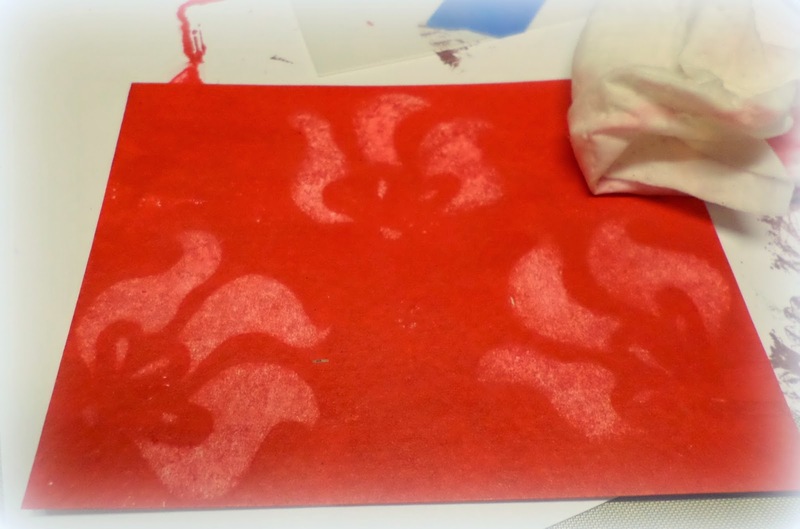 I put my stencil on top and used the baby wipes to wipe off the paint that was inside the stencil. How cool is that??? I can't believe I didn't try it sooner! The flourishes look like flowers, I think. 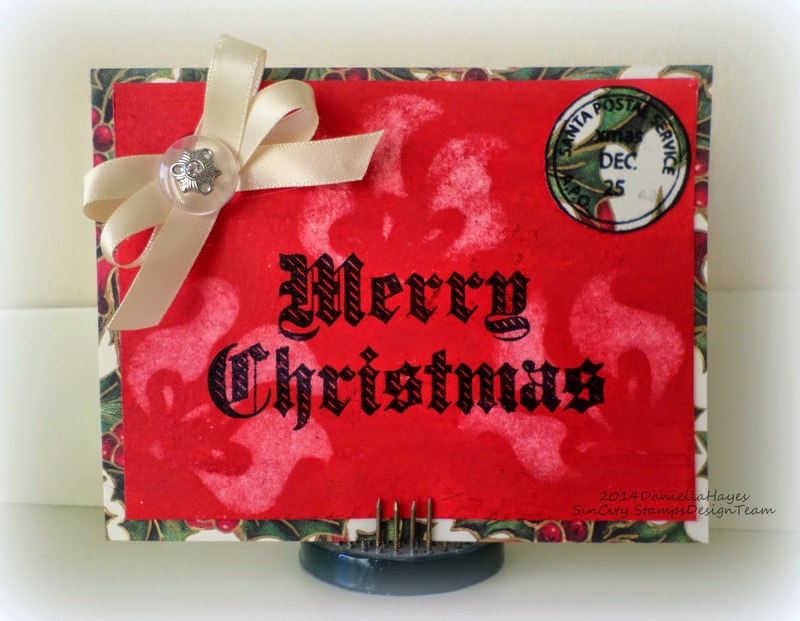 I stamped the Merry Christmas directly on the reverse stenciled, dry, paper. I love how crisp these stamps are!! 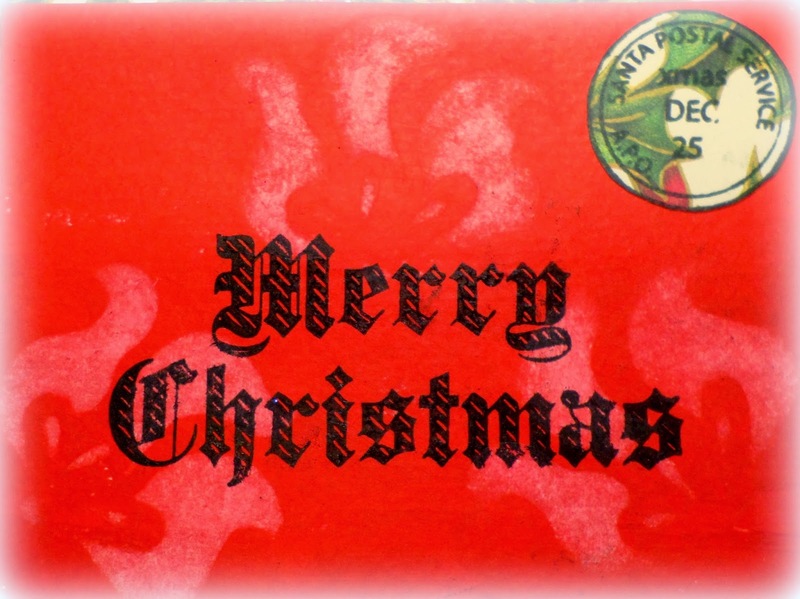 I also stamped the postal stamp on some patterned paper to add to the top right corner. I matted the reverse stenciled and stamped paper and added a bow with a button. I hope you try this technique. If you do be sure to let Terri know, I'm sure she'd love to see!! 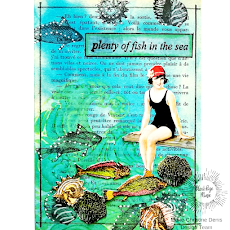 Check out her Art journal group, All Things Terri Sproul! Love this technique, Daniella. Terri always has such great ideas, and you really rocked this one. What a great idea.. I love that technique.. 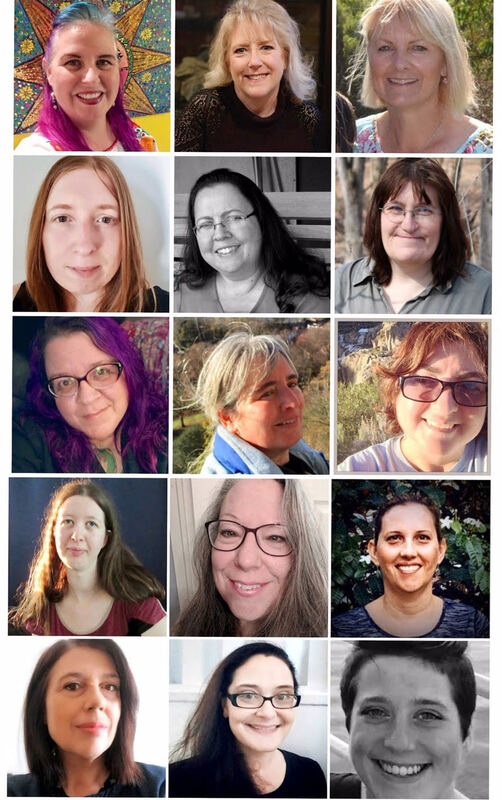 I did see Terri do this and wanted to try it. .now I really will have to try..